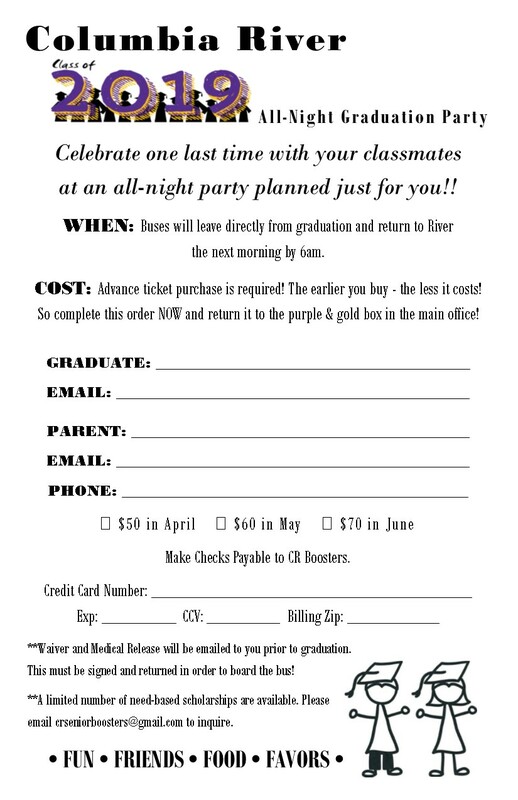 CELEBRATE ONE LAST TIME WITH YOUR CLASSMATES AT AN ALL-NIGHT PARTY PLANNED JUST FOR YOU! Buses will leave directly from graduation and return to River the next morning by 6am. The earlier you buy - the less it cost! WE NEED YOUR HELP fundraising for our seniors! NO TIME TO VOLUNTEER? - NO PROBLEM! Make a monetary donation donation and then disregard all these fundraising opportunities guilt -free! Apr. 27 - Looking for volunteers to help with our TASTING EVENT/SILENT AUCTION. 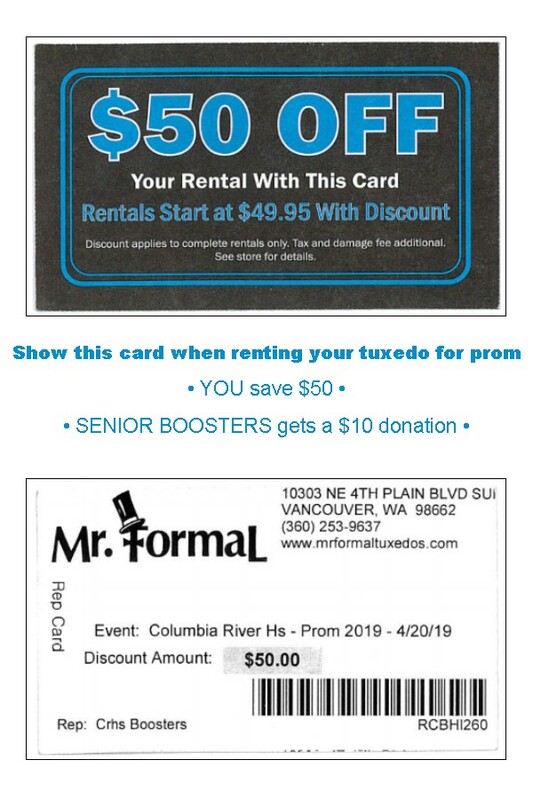 If you are interested in being a sponsor for the Class of 2019 Safe & Sober Graduation Party, please contact us at crseniorboosters@gmail.com for more information.